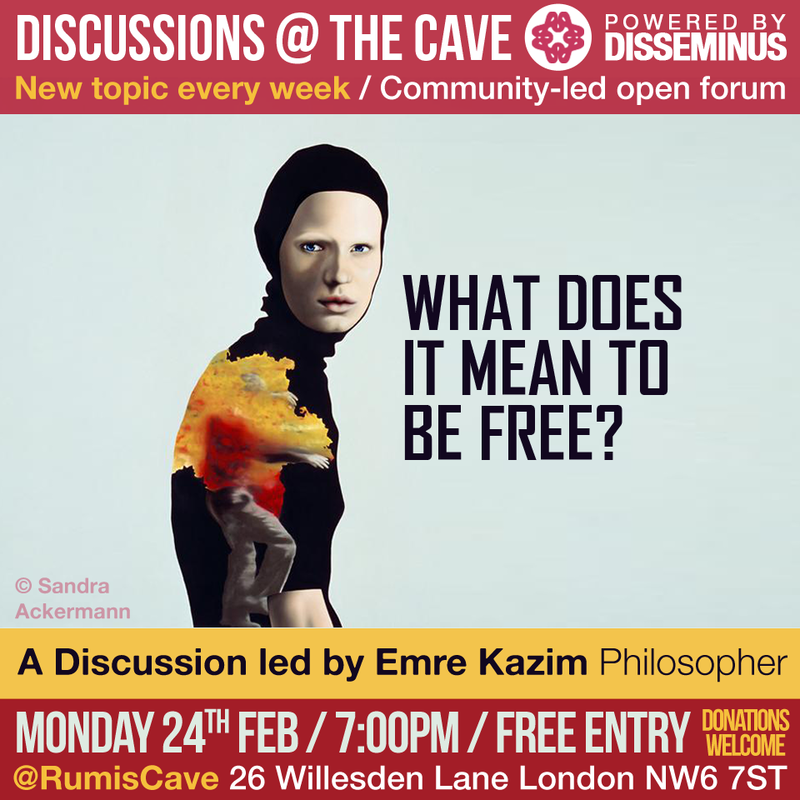 In 2010 I sought the collaboration of Emre Kazim, Mohammed Elshimi and Henrietta Egerton to start a regular meeting, open to all, at The Grove Fish Bar, next to Ladbroke Grove Station in West London, which is run by Emre's family. 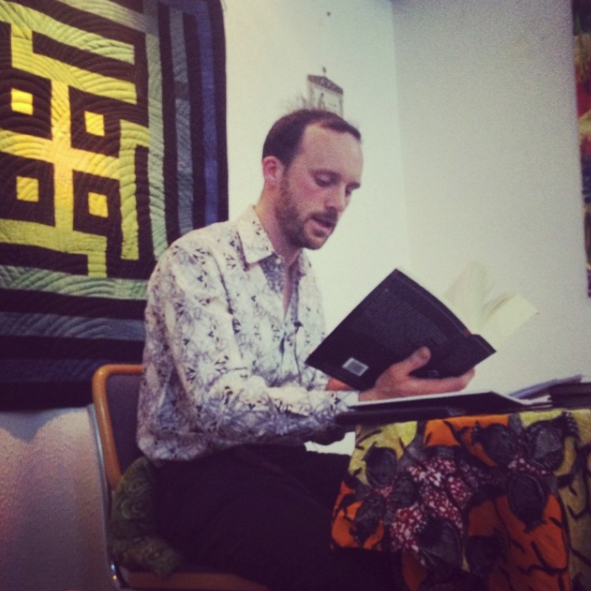 My intention was to interrogate a sense of cultural alienation which had started to set in amongst our peer group. 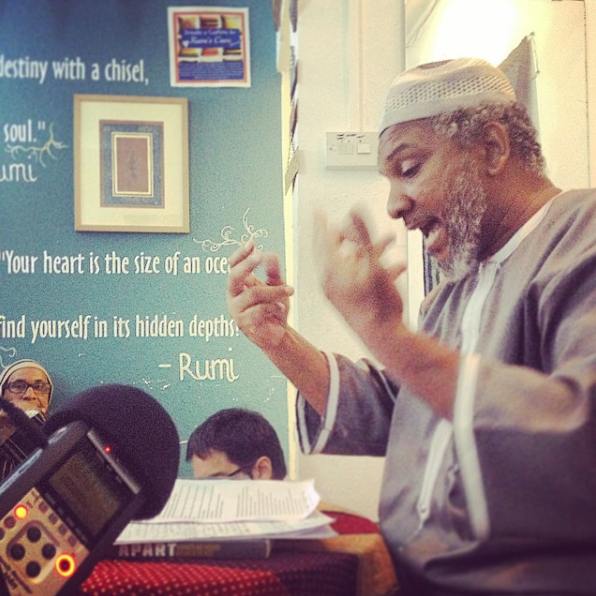 Our weekly discussions at the Chip Shop involved topics relating to philosophy, religion, literature and the arts. 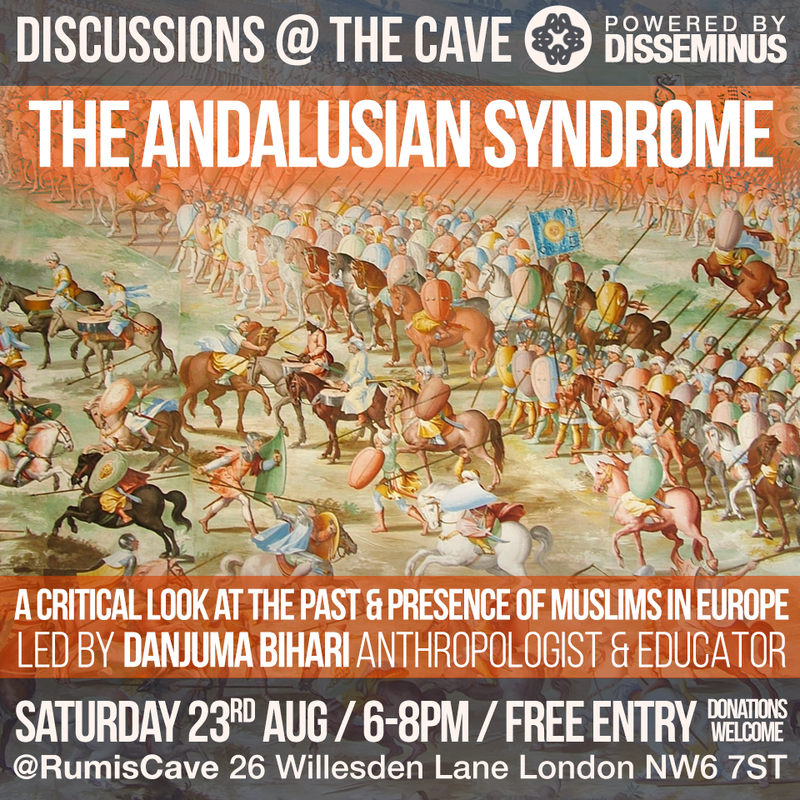 They attracted a wide and diverse range of participants from the local area and beyond, many of whom were also regular customers. 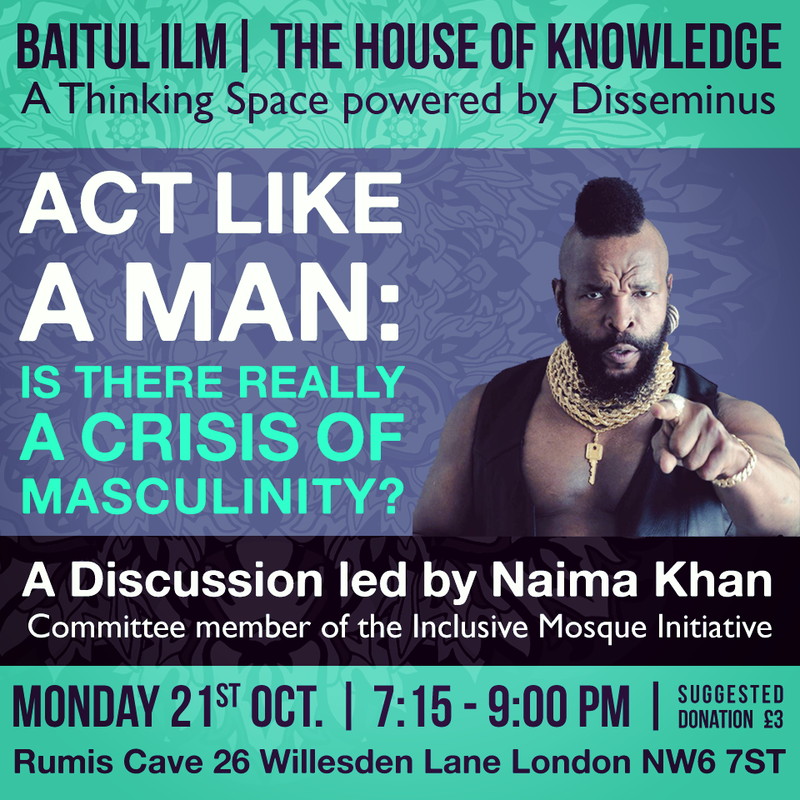 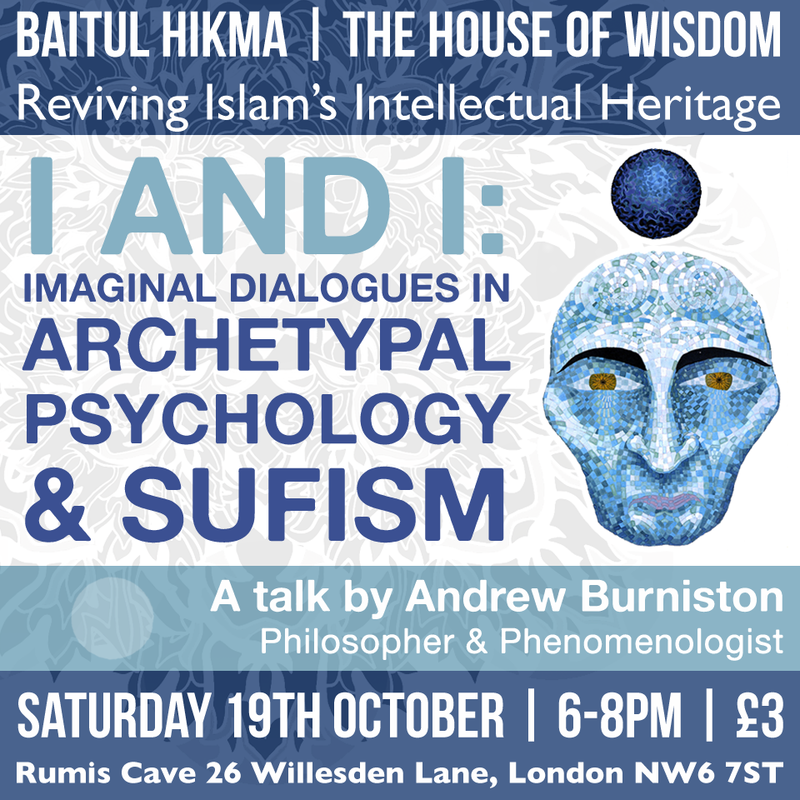 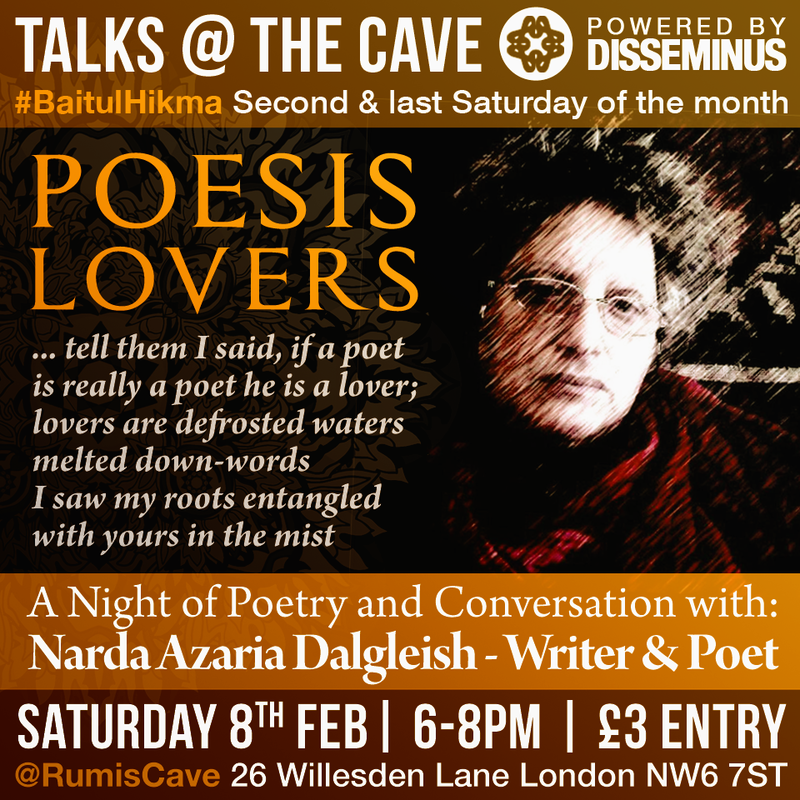 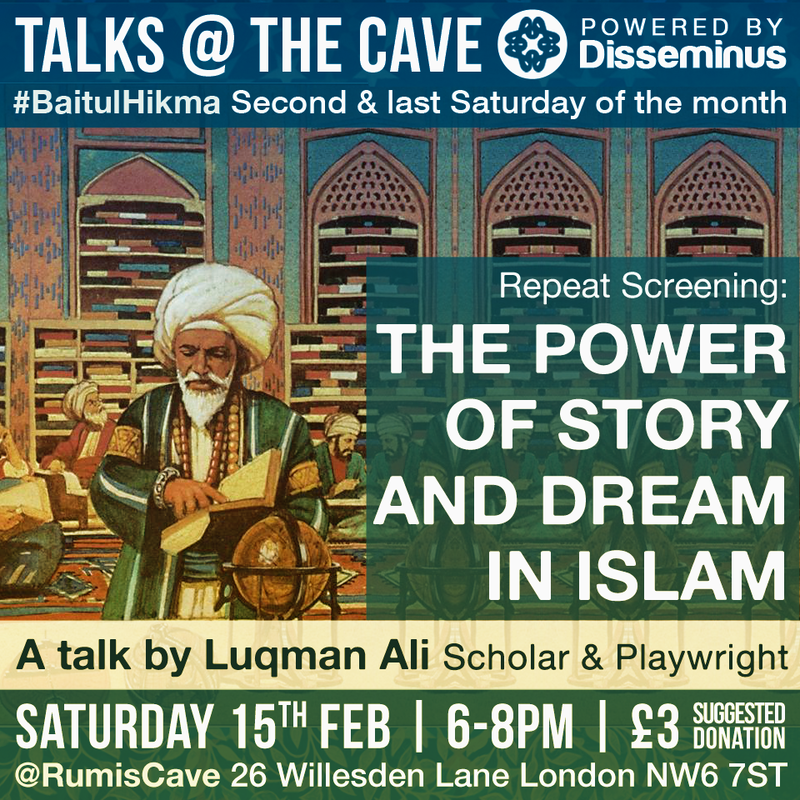 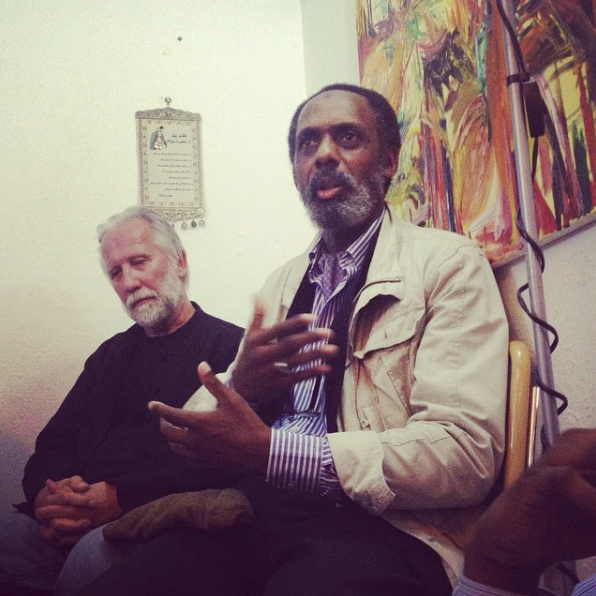 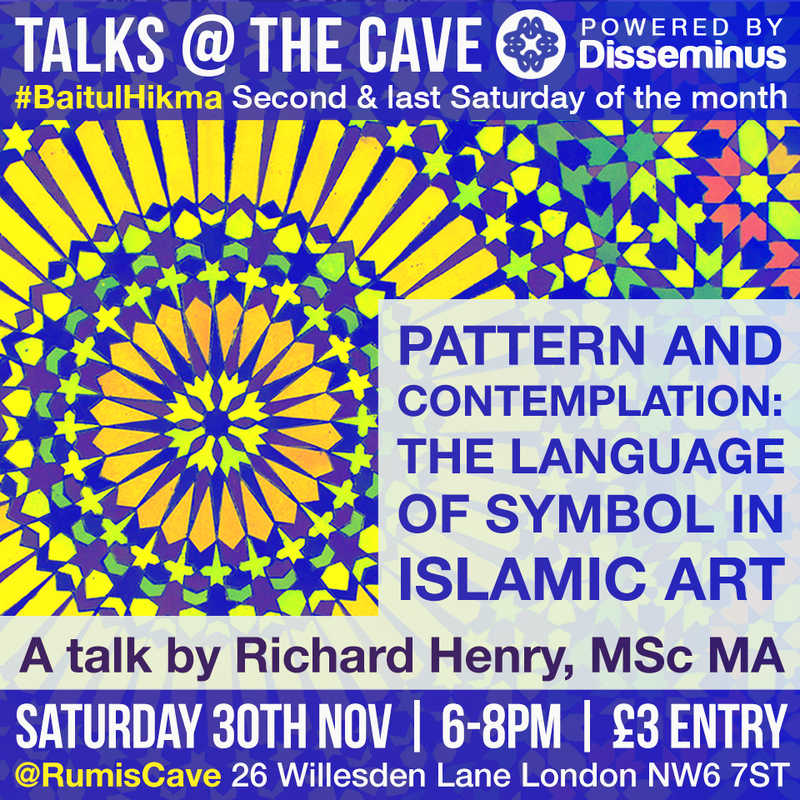 In 2012 I was invited to situate a similar programme at a newly established space called Rumi's Cave in North-West London. 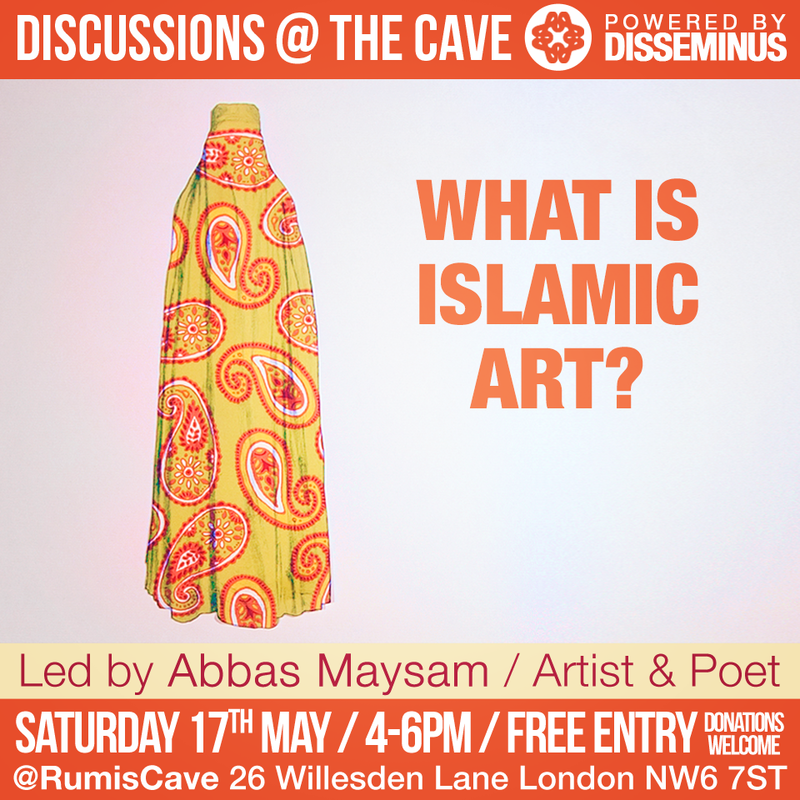 These 'Discussions @ The Cave' were positioned as a ‘thinking space‘ within a muslim-led diasporic venue; where anyone from the public could present their views, ideas and topics for open discussion and debate. 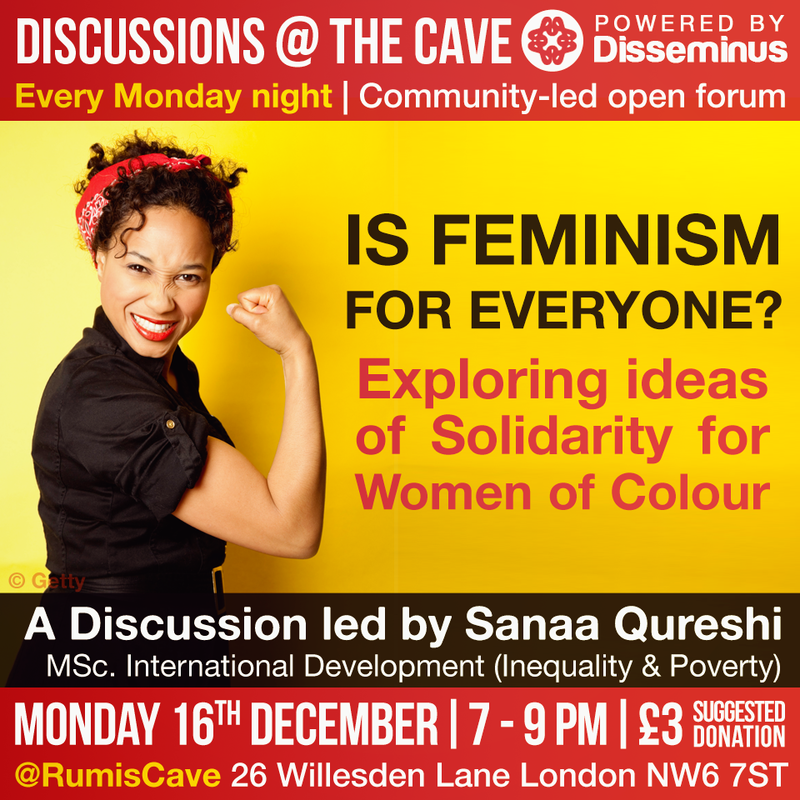 As far as I was concerned there were no particular aims to this process, with my own role becoming more performative over time. 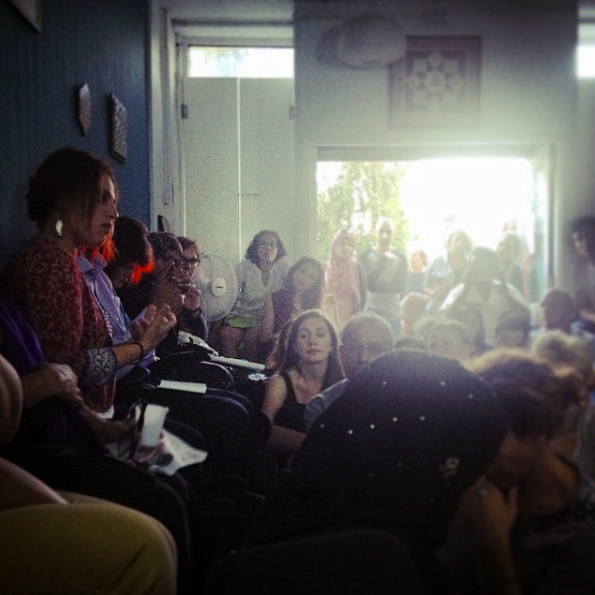 In retrospect I would describe Disseminus as a form of DIY neo-diasporic symposium. 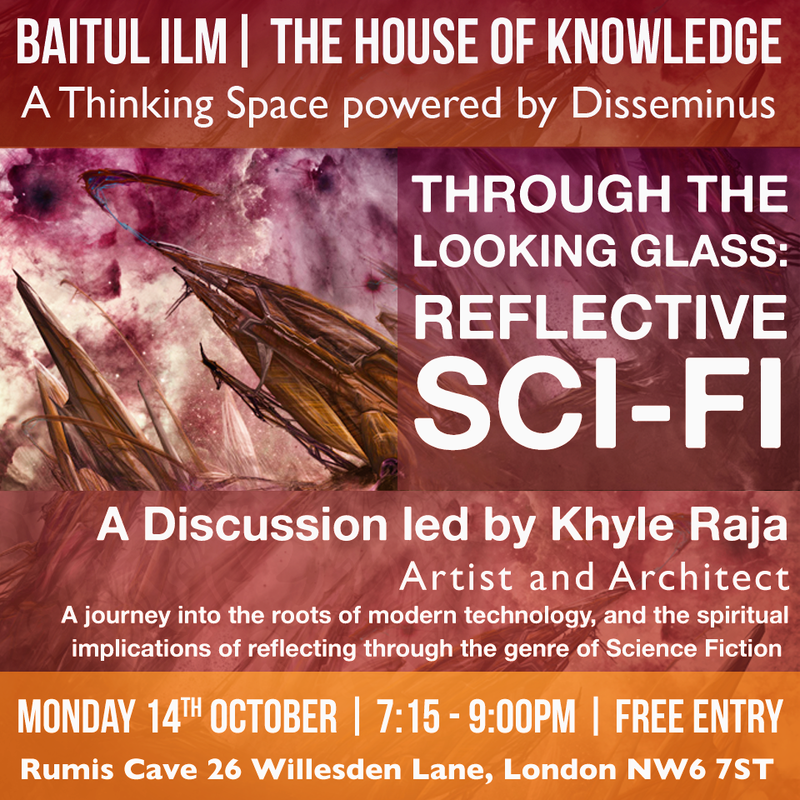 We were ultimately trying to feel our way through worlds that previous generations could no longer penetrate - especially when it came to the cultural paradigms of an unfamiliar context. 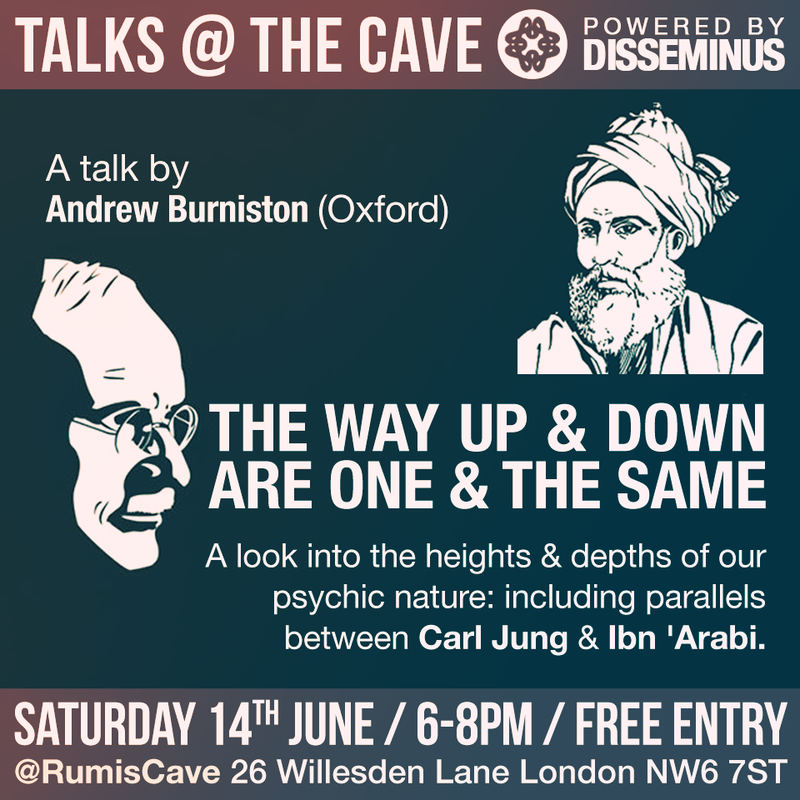 Accordingly, this Disseminal journey from Chip-Shop to beyond-Cave is now framed as an imaginal road to Damascus, in a Post-Neo-Platonic age.